Top Rank Inc. on Monday formally announced the welterweight title fight between champion Manny Pacquiao and Jeff Horn. They will tangle July 1 at Suncorp Stadium in Horn’s native Australia. (It will be July 2 in Australia, which is 17 hours ahead of California). According to a news release, promoters are expecting a crowd of 55,000. Details on how it will distributed on television are forthcoming. Pacquiao (59-6-2, 38 KOs) most recently fought Nov. 5, when he took Jessie Vargas’ title via unanimous decision at Thomas & Mack Center in Las Vegas. Horn (16-0-1, 11 KOs) is the No. 2 contender to Pacquiao’s title, but he has not fought anyone of note. He did stop former champion Randall Bailey after seven rounds a year ago this month, but Bailey was 41 at the time. At 29, Horn is nine years Pacquiao’s junior. His 17 bouts have been in either Australia or New Zealand. Suffice to say, Horn will be getting most of the fan support, being the bout will be in his backyard. Jessie Vargas knows one thing – a victory over Manny Pacquiao on Nov. 5 would change his career and his life. He wants that. Vargas, 27, is 27-1 with 10 knockouts. 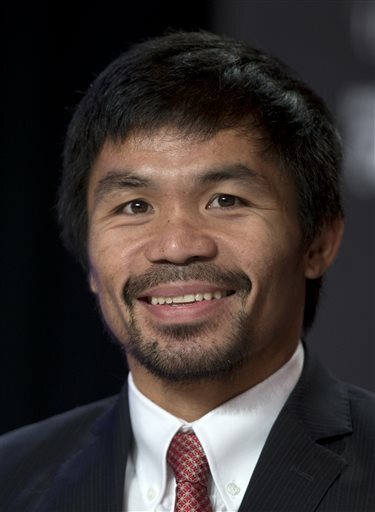 Pacquiao, 37, is 58-6-2 with 38 knockouts. The card will be available on Top Rank pay-per-view for $59.95.